Croatia made an unbelievable U-turn in less than a year. In the beginning of 2016, when the coalition government of Tihomir Orešković was formed three months after the elections, it looked like another member state is being Orbán-ised. Almost nine months later the situation looks completely different – Croatia has Europeanised. And all this due to one and the same party – the Croatian Democratic Union (HDZ), which under the leadership of Tomislav Karamarko made a sharp turn to the extreme right-wing, raised the tension in the country and the region, endangered Croatia’s fragile democracy, and threatened media. As a result of intra-coalition pressure and intra-party rebellion, the HDZ has a new leader since the summer – MEP Andrej Plenković. Under his leadership the HDZ is now a centre-right party with a pronounced pro-European attitude. And the result came swiftly. Last year, the HDZ ran in the elections as a part of the Patriotic coalition, which included several far-right wing and conservative parties. Back then, the coalition won 59 seats. This year the party announced that it will run on its own in the elections, appearing with partners in some regions of the country. The result is better – 61 seats. Tomislav Karamarko left the party in ruins, with a far lower rating than its main opponent – The Social Democratic Party (SDP). Back in June, the HDZ’s chances of winning the elections on September 11 seemed non-existent. Two and a half months later the HDZ has not only caught up with its competitor, but also improved on its own result from last year with moderate speech and avoiding confrontation. During the campaign, the main criticism aimed at Andrej Plenković was that he is not representative of the party, which continues to be far-right wing and nationalistic, that he has no experience, that he has lived abroad for too long and thus is not aware of Croatian problems, that he is a Brussels bureaucrat. 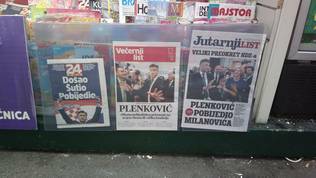 With his victory Mr Plenković asserted himself as party leader and turned out right in his guess that the centre-right is fertile ground. In his address to voters after midnight of September 12 Andrej Plenković promised that the government with HDZ participation will work for the European orientation of the country. Furthermore, he stated that the subjects raised by high-ranking EPP officials during the campaign, like the leader Joseph Daul, Manfred Weber, Elmar Brok, Antonio Tajani, and Doris Pack are “our subjects, Croatian subjects, but also European subjects”. The party’s priorities are institutional stability, legal certainty, economic growth, social justice, and solidarity. Then again, it is yet to be seen if the transformation of HDZ will continue, or it will remain just an engine for winning elections. An important indicator for the attitudes of the party’s voters was preferential voting. It showed a considerable growth of support for the controversial figure of the incumbent Culture Minister Zlatko Hasanbegović, who was placed third on the list for the Second voting region, but won the most preferential votes – 17.8% and thus overtook the list’s leader Ivana Maletić, (rumoured to be the next finance minister), who got 16.24% of the votes in the region. Mr Hasanbegović’s growth is considerable, compared to last year, when he was ranked 9th in the Sixth voting region and received just 1.33% of the preferential votes. It is obvious that the scandals surrounding his views on the Ustaša regime and the Croatian Independent State (HND) have brought him gain. Last on this list was the ex-grey cardinal from the time of Tomislav Karamarko - Milijan Brkić, whose name was linked to a plagiarism scandal. Preferential votes put him in third place on the list by 13.91%. The elections showed, however, that many of the new and young faces of the HDZ are recognisable and received sizable support, including the incumbent Finance Minister Zdravko Marić. The transformation cost the HDZ one of the three seats that are allocated for the diaspora. Usually all three go to the HDZ, but this year one of the three went to the independent list of retired general Željko Glasnović, after the general split from the HDZ. The biggest loser at these elections undoubtedly is Zoran Milanović who, despite being a Social Democrat, bet on far-right rhetoric, on scandal, on conflict, and in the end lost. 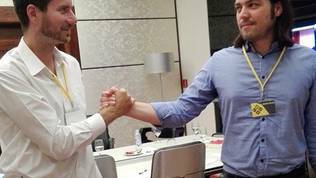 Last year, his party ran in the elections as part of the “Croatia is Growing” coalition, which combined left-wing and liberal parties. 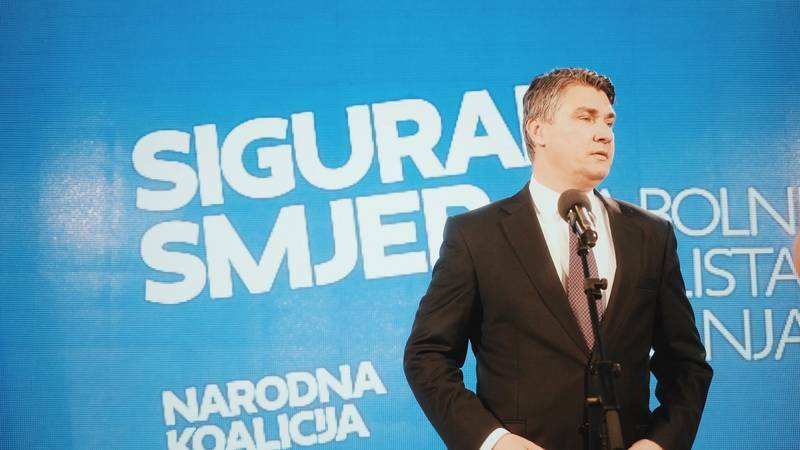 This year, the former prime minister ran with the People’s Coalition, which has the same contents like last year’s, but with one more addition – the Croatian Peasant Party (HSS), which was part of the Patriotic coalition last year. After the elections of November 8th 2015 “Croatia is Growing” got 56 seats. This year the People’s coalition managed to win 54 seats. Although it does not seem to be that much lower, the result is in fact catastrophic, because SDP & Co missed a huge opportunity – they did not manage to capitalise on the HDZ-s failure in the 6-month governing of Tihomir Orešković, underestimated the reformist drive in the HDZ and bet on the same thing that brought a loss to Tomislav Karamarko back in the previous elections – nationalist rhetoric and scandal. 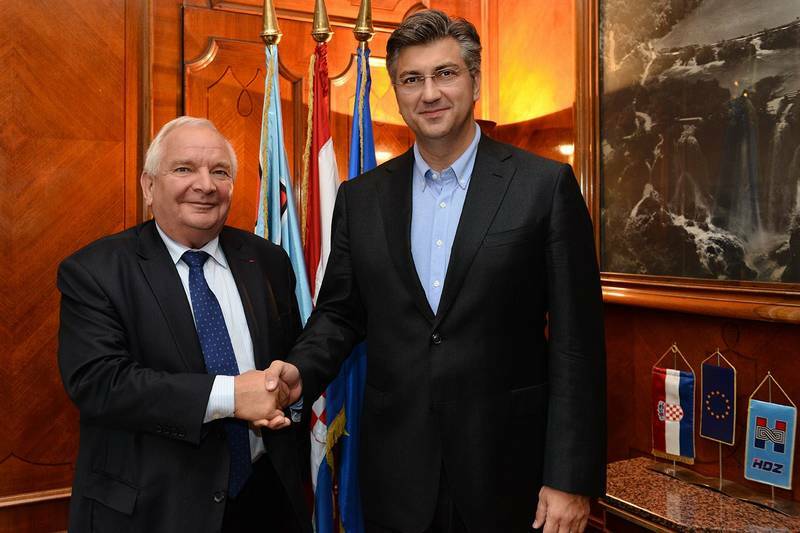 Before Andrej Plenković was elected leader of the HDZ Zoran Milanović was aiming straight for the political centre. After his first pre-election debate with his former colleague from the Croatian foreign ministry, however, he decided to take Karamarko’s course and made a mistake. The big question after the election is whether Zoran Milanović will resign after almost 10 years at the helm of the SDP and will clear the way, as the HDZ did, for a transformation of his party, or will he wait and see how the negotiations will go for the formation of a government, hoping to survive*. Last night, with over 70% of all ballots counted, Mr Milanović addressed his supporters admitting that the result is disappointing and stated that now everyone will have to find an answer to the question “why”. To him, the biggest problem is low voting turnout – 52.59%. At the previous elections 60.82% of eligible voters appeared at the polling stations. He underlined that now is the time for politicians to denounce their egotism and gloating and start working for the benefit of the country. Many interpreted this statement as a statement of willingness for the creation of a wide coalition. His words made it clear that he is willing to quit the race for the Prime Minister seat. The big winner of last year’s elections – Bridge of independent lists (Most NL) – again finished as third political power, but with some losses. Last year, the party won 19 seats and turned into the most important political factor in the country. Actually, they were the only ones describing themselves as a herald of change. After the HDZ transformation, however, Most NL were no longer the only peddlers of change and voters showed them that by giving them just 13 seats in parliament. Despite the loss, the party does not give up its strong, or even headstrong, course of action. It based its campaign over the last days and weeks on seven conditions for participation in negotiations for the formation of a government. All seven of those include adoption of draft legislation of theirs even before the formation of the new government. To Most NL this will be a guarantee that they can work with anyone who accepts their conditions. A little past midnight, the usually meek and composed leader of the party Božo Petrov appeared in front of media in a perceivably heavy emotional state. He looked disappointed and even nervous, his voice was shaking while he was sending an ultimatum to all political parties and the journalists including. He said that the seven conditions are on the table and until they are accepted no one needs to bother them for anything. He asked that over the next five days journalists, too, should not bother them about anything, for they have nothing further to say. There was a note of aggressiveness, too, in his voice. 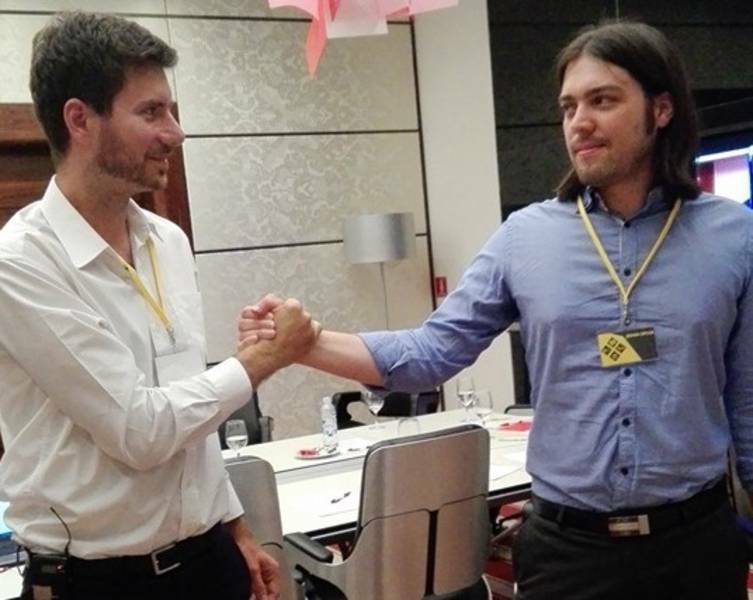 The fourth political power at these elections is the Only Option – a coalition of parties surrounding the protest movement Live Wall led by the young Ivan Vilibor Sinčić. They won a total of eight seats, which makes them appealing for negotiations. Last year Live Wall managed to get only one seat in parliament. The problem with Only Option is that Live Wall is an anti-establishment and anti-European party, which wants Croatia out of the EU and NATO. The party believes that the current neoliberal economic model has failed. It presents itself as a “humanist” party, which is neither left, nor right, centre, liberal, or conservative. Its success should not be treated as a victory of Euroscepticism in Croatia, for the main engine of Live Wall is the fight against the eviction of people, who are unable to pay their mortgages, the so called deložacija. A part of the Only Option coalition is also the movement, which fought successfully for the conversion of credits from Swiss Francs to euro. Their battle against banks and their success last year with the conversion of credits is the more probable reason for the growth of Live Wall. Despite large advertising spending, Zagreb mayor Milan Bandić did not manage to overstep his achievement from last year, when he won two seats by himself. This year, he appeared together with several other political fragments, but all of them together again managed just two seats. Milan Bandić led a coalition with the ambitious and unambiguous name “Coalition for Prime Minister”. As counting of votes advanced last night, however, members of the coalition kept repeating the same line to the death – “To us, the important thing is that we remained a parliamentary presented party". Voting in general went with no sizable problem with the exception of the big scandal, caused by President Kolinda Grabar-Kitarović. 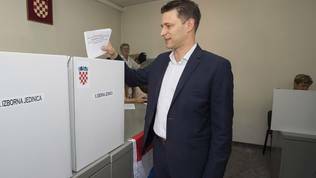 Despite explicit warnings by the Croatian Central Elections Commission not to use mobile phones during voting and not to take pictures, Mrs Grabar-Kitarović was pictured photographing her ballot. 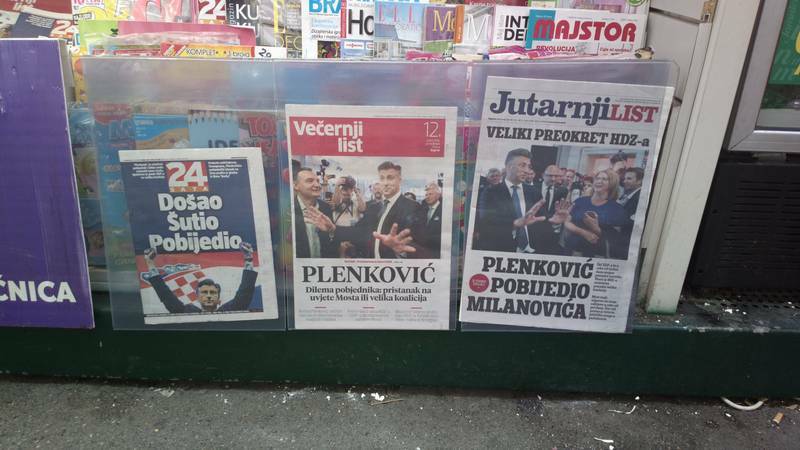 This caused sharp criticism in Croatian media, which reminded that despite not having this issue dealt with by law, the head of state is expected to be an example of following the rules, instead of pretending they do not apply to her. The presidency refused any comment on this, but this case is one more black spot in her presidential biography. Regardless of its huge success, the HDZ does not have the necessary majority of 76 MPs in parliament. Last night the leader Andrej Plenković stated that the HDZ will make a coalition only with parties that share the views and worldviews of HDZ. Most NL falls into this category, but their non-constructive approach bodes a long period of negotiation and uncertainty. Analysts forecast that Most NL’s hardheadedness could drive the two large parties towards a wide coalition, which after last night’s statement by Zoran Milanović seems less and less impossible, and furthermore the platforms of the HDZ and the People’s coalition are quite close. Zoran Milanović has positioned himself as an even more avid Eurosceptic during the campaign than he was before, but this is not a foundation of his party at all, but rather a pre-election weapon. So the question in Croatia continues to be a Spanish or an Irish scenario.